This holiday season, if you feel like splurging on a fine dining experience, then Tasting Counter receives my highest recommendation. Chef Peter Ungár is undeniably one of the best chefs in the Boston area. He is creative and passionate, a perfectionist and humble, talented and personable. You can check out my last review for more information about this amazing culinary experience. Last week, on the evening after Thanksgiving, I dined at Tasting Counter, introducing my good friend Adam Japko to the restaurant. Adam stated it was "utterly mind blowing" and "I've had my head in the sand missing out on Peter Unger's brilliance in Boston for too long." Yes, he was more than impressed. 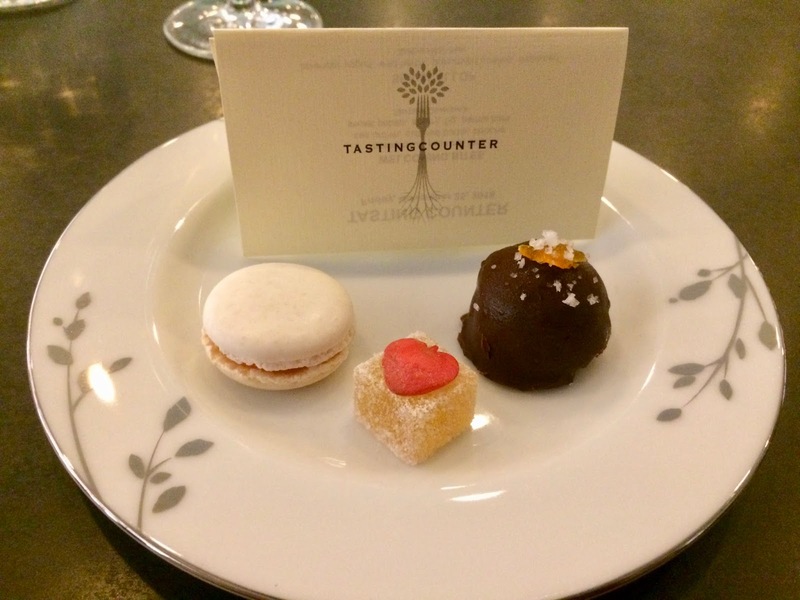 During this season, Tasting Counter has expanded their lunch hours, serving lunch from Tuesday to Saturday, 1pm-2pm. Dinner service is held Wednesday to Saturday (one seating on Wednesday at 8pm, and two seatings on the other days, 6pm-8pm and 8pm-10pm). They have also started holding a Natural Wine Bar, from Thursday to Saturday, from 10:30pm-12:30pm, where you can enjoy wine and snacks. With Lunch and the Natural Wine Bar, you even a couple less expensive ways of checking out Chef Ungár's food. Let me lead you through our latest dinner, though please note that this is but a glimpse of the wonders you will find. I didn't take notes, just basically photos, so my descriptions won't include every special element of each dish. First, numerous ingredients are locally sourced or created in-house, from the butter to the yogurt. 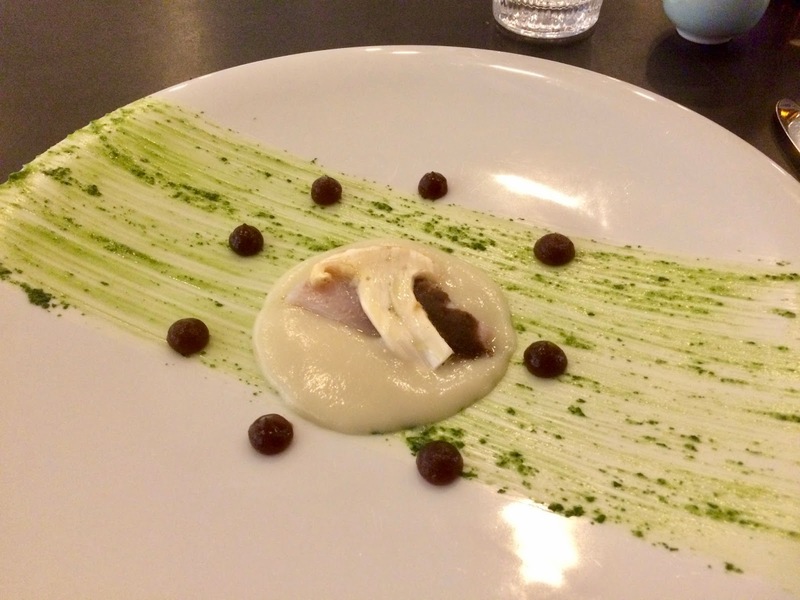 Second, as you receive each course, the details of its creation are provided to you, and you'll be amazed at the numerous ingredients, and their preparation, that go into each dish. 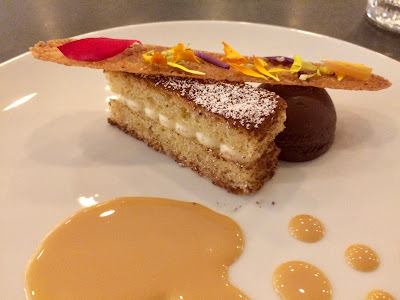 And all of those ingredients coalesce into a balanced, flavorful and exquisite dish. Third, it is a joy to watch the perfection of the chefs as they compose each dish, which also look as beautiful as they taste. Aesthetics are very important to Chef Ungár. With your dinner, you also get your choice of beverages, ten pairings of Wine, Sake, Beer or Non-Alcoholic drinks. Their beverage director, Eileen Elliott, has composed plenty of excellent drink pairings for the various courses, and she presides over their Natural Wine Bar too. For our dinner, Adam and I both opted for Sake pairings, and I highly recommend that you do the same. Tasting Counter has the largest Sake selection of any non-Asian restaurant in the Boston area. They understand that Sake works well with all types of different foods and you will enjoy experiencing the marvels of those pairings. As for the specific dishes, there wasn't one that I didn't enjoy and there were plenty that brought sheer joy to my palate. I'm providing the pictures with only the barest of descriptions, hoping that alone will compel you to visit Tasting Counter. 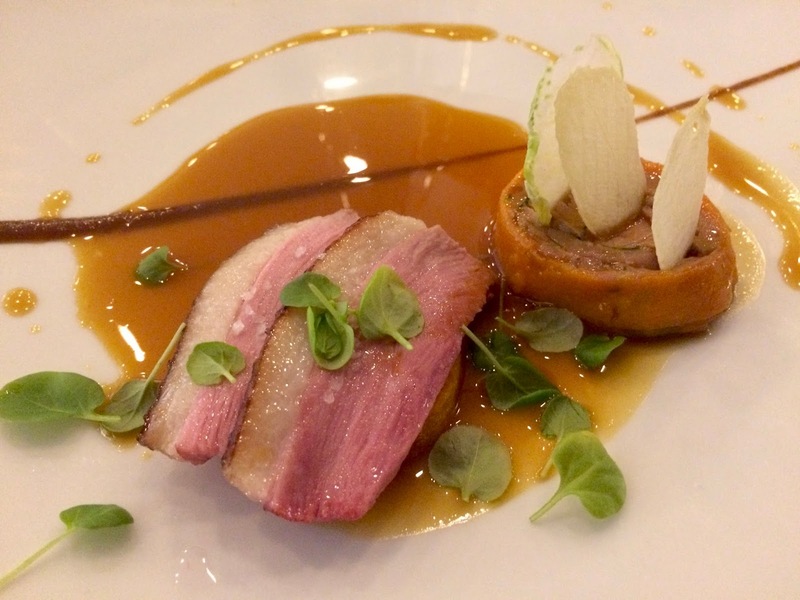 It is one of the best restaurants in the Boston area and if you haven't dined there yet, you really need to make a reservation. Welcoming Bites: Sweet potato, sherry, fig, parma ham. Ocean trout, sesame & lime. Sea urchin, cultured butter, brioche. 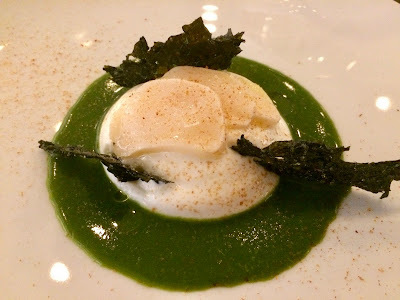 Sea Scallop: lavender yogurt, wild herbs, preserved scallop, seaweed. 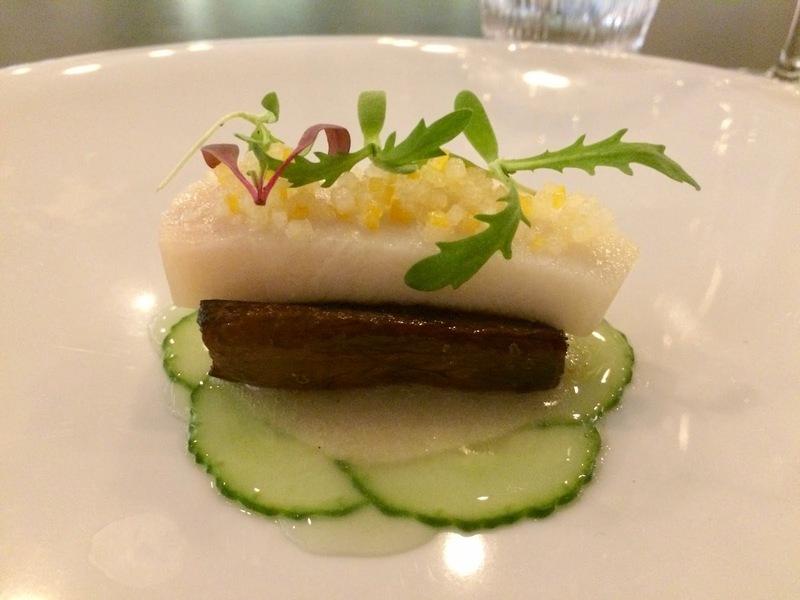 Yellowtail: rice smoke, eggplant, cucumber, meyer lemon, bashing pear. Hand Rolled Seaweed Pasta: hen of the woods, sea urchin custard, anchovy, bonito. Sea Bream: sunchoke, pine mushroom, burgundy truffle. To cleanse your palate, you receive Schisandra Berry, a cold brewed tea which is sweet and salty, sour and bitter. I really want to make a Sake cocktail with this tea. Whole Duck: fermented garlic roast, confit leg & liver, butternut. Sirloin Beef Cap: patron pepper, green curry, daikon, cilantro, lime. Parting Morsels: Almond, buttermilk, thyme; Pineapple vanilla fruit crew; duck liver bonbon. I recently found myself in Davis Square, wanting to catch a bite to eat before an event I was attending. 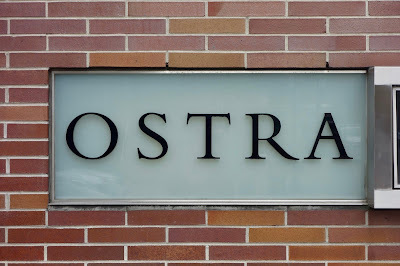 I chose to dine at Posto, which is on my list of the Top 50 Restaurants of 2015 and has been one of my favorites since it first opened. It has consistently been a compelling spot for Italian cuisine, including pizza, and my most recent experience wasn't any different. Everything was delicious, service was excellent, and I'm sure it will make my Top 50 Restaurant list for 2016. I like to start my meal with their Pane ($2.50), a piping hot, soft bread with rosemary and sea salt. Though you can have this bread with some oil, it is also a good way to sop up the sauces of your other dishes. The Arancini ($11) consists of five balls of crispy arborio rice with lemon & oregano, in a spicy sweet & sour tomato sauce. A crisp coating covers the tender rice within, all enhanced by the flavorful sauce (which I also sopped up with the bread). A nice appetizer to start your meal. Their Neapolitan Wood Fired Pizza is one of the best in the region, and I chose their Meatball ($17), with beef, pork & veal, topped by mozzarella, oregano and garlic. It is a hearty-sized pizza, loaded with toppings including ample, thin slices of garlic. The thin, slightly charred crust was delicious, both soft and crisp, and the meatballs were moist and flavorful. And I loved all of the garlic atop the pizza. With the chillier temperatures of the season, this would be a perfect comfort food, filling your belly and warming your soul. Chef Joe Carli sent me a sample of his Daily Pasta Special, Hand Rolled Garganelli with locally foraged Matsutake mushrooms, guanciale and a parsnip purée. 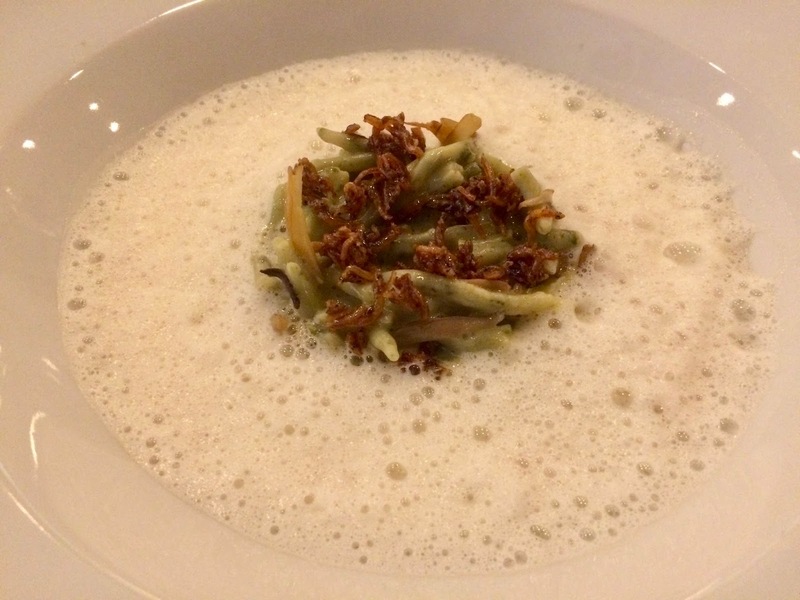 The pasta had a great texture, cooked just right to give it some bite, and the earthy mushrooms enhanced the dish. I've always like their pasta dishes, and this wasn't an exception. 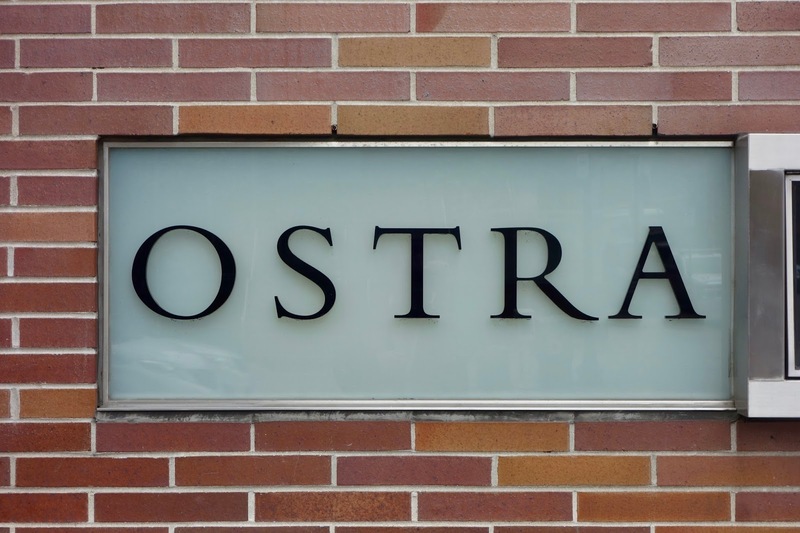 If you find yourself near Somerville, then consider dining at Posto, or even consider making a special trip to eat there. The food, from the pasta to the pizza, won't disappoint! And you will understand why it is one of my favorite restaurants. "How many distilleries existed in Utah, prior to 1862, cannot be ascertained, though we know there was no scarcity. The revenue collector’s record shows, between 1862, when the IRS went into effect, and 1869, the arrival of the railroad, thirty-seven distilleries operated in Utah, all owned by Mormons and with Brigham Young among them. When the first settlers arrived in Utah, distilling was a way of life because alcohol was a primary medicine as well as a way to turn food that would have spoiled into something of great value." As I've said multiple times before, blending in alcohol production can be an exquisite art, whether it is used to create an elegant Champagne or a compelling Bourbon. Not enough credit is given to the skills needed to be an expert blender, and not enough credit is given to those products which exemplify the best of the blending art. I want to highlight some people in Utah who are excelling at the art of blending, creating intriguing and delicious whiskies. In 2009, High West Distillery was established in Park City, Utah, by David (a former biochemist) and Jane Perkins, husband and wife, and it was the first legal distillery permitted since 1870. They began operation with a 250 gallon still and soon enough needed to expand so that they now have four unique locations, including a distillery in Wanship, which has a 1,600 gallon pot still. They currently produce about 70,000 cases annually. Although High West produces some of their own whiskies, they have also acquired a good reputation for their blended bottlings. I should note that High West Distillery was recently acquired by Constellation Brands, Inc. It is said that High West's David Perkins met with Jim Rutledge, the former Master Distiller at Four Roses, and was inspired about the art of blending. David then began experimenting in this vein, and one of his creations has been High West Whiskey Campfire, one of the most unique whiskey blends you'll likely find. A friend of mine, Alan Bahr, highly recommended this whiskey to me. Alan is a talented game designer, the owner of Gallant Knight Games, which has published Tiny Frontiers and the forthcoming Tiny Frontiers: Mecha & Monsters. He has also been involved in several other role-playing games like The Powder Mage RPG and Planet Mercenary. I asked Alan to comment on this whiskey blend, and he stated: "I remember the first time I had High West Campfire. I was 24/25ish, had just moved 40 miles from religiously conservative college town to big city in Utah. One of my best friends who lived there, took me out to a bar that became my favorite very quickly, the Bourbon House. "One of the first drinks we tried was High West Campfire, and I was in love. To this day, it's smokey, unique flavor reminds me of friendship, nostalgia and basement dive bars, full of character, clattering pool balls. High West is also a Utah export, which is a fact of personal pride (for no good reason). It's whisky, from Utah of all places, and made unique, like Utah makes it's citizens. "Even though I've grown my tastes and expanded my horizons, I think, when the sun sets over the Uintas, and I watch get to watch red light overcome my decade long home, there's still a smell and taste, of campfire in the air. Here, in the last bastion of my high west." The High West Whiskey Campfire ($55-$60) is a blend of a straight Bourbon, a straight Rye, and a blended peated Scotch. Are you aware of anyone else creating such a blend? It seems unusual and you might be hesitant at first, wondering whether such a blend can work well or not. However, I strongly encourage you to take a chance on this blend, and I think you'll be pleasantly satisfied with what you taste. All three of the whiskies used in this blend, which is at 46% ABV, are at least five years old. The Bourbon is sourced from MGP, and is made from a mash bill of 75% corn, 21% rye, and 4% malted barley. The Rye is also sourced from MGP, and is made from a mash bill of 95% corn rye, and 5% barley malt. The Scotch is from an undisclosed distillery in Scotland, and is made from 100% barley malt which has been peated. The specific proportions of the different whiskies in this blend is also a secret. In addition, all three whiskies are not chill-filtered or carbon-treated. I shared this bottle with several other whiskey-loving friends, and they all enjoyed it. On the nose, it has a complex and alluring aroma, with hints of spice, light smoke, honey, vanilla, and floral notes. As I took a hearty sip, I was amazed at the intriguing and complex procession of flavors that seduced my palate, proceeding from a sweet and fruity start, leading through a spicy middle and ending with a mild smokiness. Sweet, spicy and smoky. It was fascinating that you could easily see the influence of each different type of whiskey, none being dominated by any other. As you paid more attention to each sip, you could detect hints of each whiskey type in all three phases, though they were more subtle. And the more you concentrated, the more flavors you discovered in this superb melange, from caramel to citrus, leather to baking spices. With its higher alcohol content, there is some minor heat when you first taste the whiskey, but that heat seems to fade away as you sip your glass. Overall, it is a silky & smooth whiskey, with a long and lingering finish. An excellent sipping whiskey, I could easily sit and drink this all night, and it earns my hearty recommendation. "We like to enjoy Campfire whiskey with s’mores...or good-looking strangers." 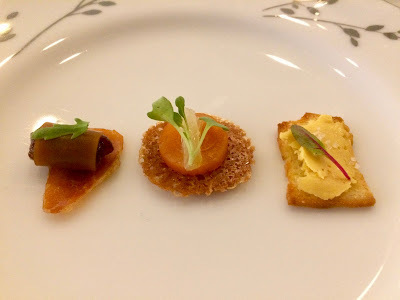 I am back again with a new special Wednesday edition of Sips & Nibbles, my regular column where I highlight some interesting, upcoming food & drink events. As tomorrow is Thanksgiving, I moved up this column this week. 1) On Saturday, December 10, Pastry Chef Robert Differ of Mandarin Oriental, Boston invites pastry enthusiasts for an intimate and festive Holiday Pastry Decorating Workshop. This one hour and 30 minute hands-on class will feature tips and techniques required for mastering the art of holiday cake decorating. Upon arrival, guests will sip a complimentary glass of sparkling prosecco or a rich cup of homemade hot cocoa while Chef Differ showcases how to bring each cake to life. Students will be provided with a freshly-baked chocolate present cake, filled with Italian buttercream, pre-wrapped with a choice of red or green fondant. Working with a variety of mediums, students will learn how to prepare, create and attach fondant bows and personalized gift tags made out of professional modeling chocolate. In addition, Chef Differ will also demonstrate how to use edible markers, festive cutouts and gold paint detailing to decorate and enhance each unique design. After crafting these elaborate cake confections, guests will be able to bring their sweet masterpiece home to share with friends and family. Chef Differ’s Holiday Pastry Decorating Workshop will begin at 10:30 A.M. and is available for $95 per person. For more information or to make a class reservation please visit Eventbrite.com (https://www.eventbrite.com/e/holiday-pastry-decorating-workshop-tickets-29082467443). 2) Chef Dante de Magistris and his brothers Filippo and Damian are thrilled to share the launch of Sunday Brunch at il Casale Cucina Italiana in Belmont. Having just started on Sunday, November 20, Chef Dante de Magistris and his brothers offer Sunday Brunch service from 11:30 a.m. to 2:30 p.m.
Brunch-goers can enjoy the de Magistris’ spin on the classics with exclusive Brunch Beverages, Colazione Dolce (Sweet Breakfast), Colazione Salata (Savory Breakfast), Le Uova (Eggs) and Pranzo di Domenica (Sunday Lunch) options. The menu opens with a selection of wines by the glass and brunch beverages carefully crafted by Co-Owner Damian de Magistris such as the bloody Mary with il Casale’s proprietary fra diavola mix and castelvetrano olives and the “cream no sugar” with earl gray iced tea, Kahlua, Frangelico, nardini amaro. Standouts from the Colazione Dolce section include fritelle all’ Americana, traditional buttermilk pancakes, Vermont maple syrup and toast...alla Francese, brioche French toast, cinnamon vanilla batter, gelato butter, crispy pancetta. The Colazione Salata section features the S.L.T. with Nova Scotia smoked salmon, lettuce & tomato bruschetta, mascarpone rosemary fries. A robust section of Le Uova celebrates everyone’s favorite brunch staple with Uova in “purgatorio,” fried eggs in “purgatory” with spicy tomato sugo and four versions of Benedetto (tradizionale with crispy pancetta, Fiorentina with sautéed spinach, carne with sliced steak, granchio with house made crab cakes) all served on il Casale’s signature Pugliese bread with grilled lemon hollandaise and home fries. The Pranzo di Domenica section of the menu includes il Casale Cucina Italiana’s most popular pasta dishes tagliatelle alla Bolognese, classic meat ragù from Emilia Romagna and chitarra alla carbonara, soft onions, guanciale, Pecorino Romano D.O.P. in addition to pesce spada alla Siciliana, blackened swordfish Sicilian style, eggplant caponata and pollo alla marengo, sauteed chicken breast, crispy pancetta, fried eggs, mushroom cream sauce. WHEN: Sunday 11:30 a.m. – 2:30 p.m.
Every year, Sam and Tina Messina, siblings and co-owners of The Wine ConneXtion, set out in search for rare, large format wines produced by some of the most prestigious wineries-- and each year, their quest is unpredictable. Every large format wine is hand-bottled which makes production limited, and their availability rare. Bottles that do make it to the retail stores are found few and far between, and when they are available, are usually scooped up by wine enthusiasts who want to add them to their prized wine collections. This year, The Wine ConneXtion searched far and wide to acquire the largest selection of large format wines in New England. Nowhere else can you find such a vast assortment of large format wine, many of which were special ordered directly from the wineries and include older vintage wines that do not exist in the 750ml format today. More than just a bold statement, large format bottles add a unique touch to dinner parties and make an impressive gift for both avid wine collectors and those hard-to-buy-for friends. Quantities are extremely limited, so stop by The Wine ConneXtion while supplies last. Visit www.wineconnextion.com for an updated list of available bottles. Due to the size and rarity of these bottles they do not ship Large Bottle Formats. 4) Chef and Restaurateur Michael Schlow is excited to announce that Chef Brendan Pelley will join him as the new Chef de Cuisine at his Greek inspired restaurant, Doretta Taverna and Raw Bar. 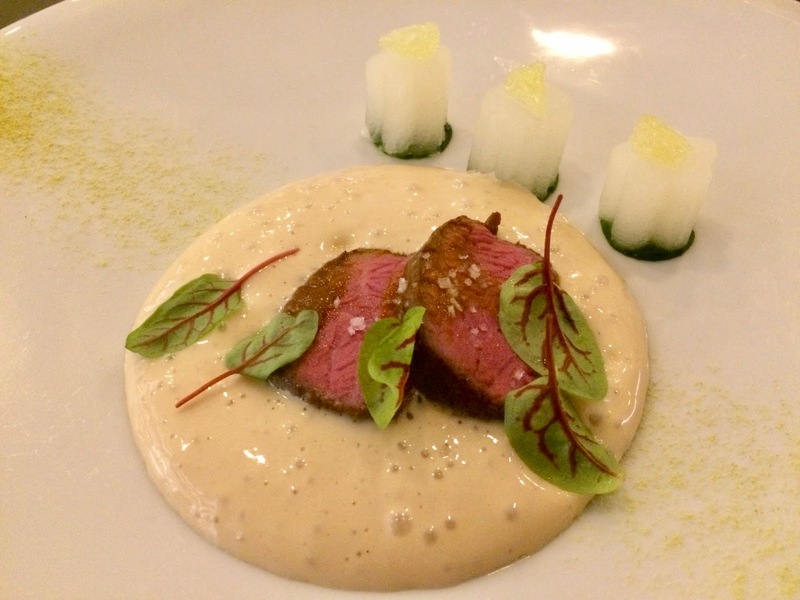 Pelley’s Greek heritage, deep understanding of Mediterranean cuisine, and his innovative style will bring a new added dimension to the popular Back Bay restaurant. Most recently known for his successful year-long run of Greek pop-up Pelekasis at Wink & Nod, Chef Pelley honed his craft working in some of the top kitchens across greater Boston, including Ken Oringer’s Clio, and Mark Gaier and Clark Frasier’s Summer Winter. Brendan then went on to hold the sous and pastry chef positions at Tryst Bistro, where he refined his knowledge of classic French technique . After Tryst, Pelley went on to perfect his skills of food and wine pairing as chef de cuisine of the Stonehedge Inn & Spa in Tyngsboro prior to taking over at Zebra's Bistro in Medfield. Some of the new menu items that Chef Pelley worked with Chef Schlow to introduce to the Doretta menu include new takes on gyros on the lunch menu, an expanded raw bar selection, and items such as: Braised lamb neck kritharaki (orzo) with mizithra cheese and dehydrated kalamata olive breadcrumbs, Harissa roasted carrots with onion ash yogurt, Crispy Brussels sprouts with Krokos (Greek saffron) aioli, and seared scallops with chickpea caper and parsley salad, citrus emulsion and crispy grape leaf. It might seem a strange combination but a confluence of factors has contributed to bringing together these seemingly disparate items, and the end result is compelling. We begin with T.J. Rodgers, the CEO of Cypress Semiconductor, which is located in Silicon Valley, the renowned technological center. We then continue on to Clos de la Tech Winery, located in the Santa Cruz Mountains, deep within the center of the Silicon Valley. The connection is that Rodgers founded this winery in 1994. As Rodgers loves French Burgundy, he was driven to create Pinot Noir at his winery. Melding his worlds, Rodgers places the picture of a silicon chip on the neck of each bottle of his wines. The winery has three vineyards, including: Domaine du Docteur Rodgers, a one-acre vineyard that produces about 100 cases of Pinot Noir annually; Domaine Valeta, so high in the Santa Cruz Mountains that it snows and which produces only 200 cases of Pinot Noir annually; and Domaine Lois Louise, which currently produces 1,500 cases of Pinot Noir annually and will produce 10,000 cases when in full production. 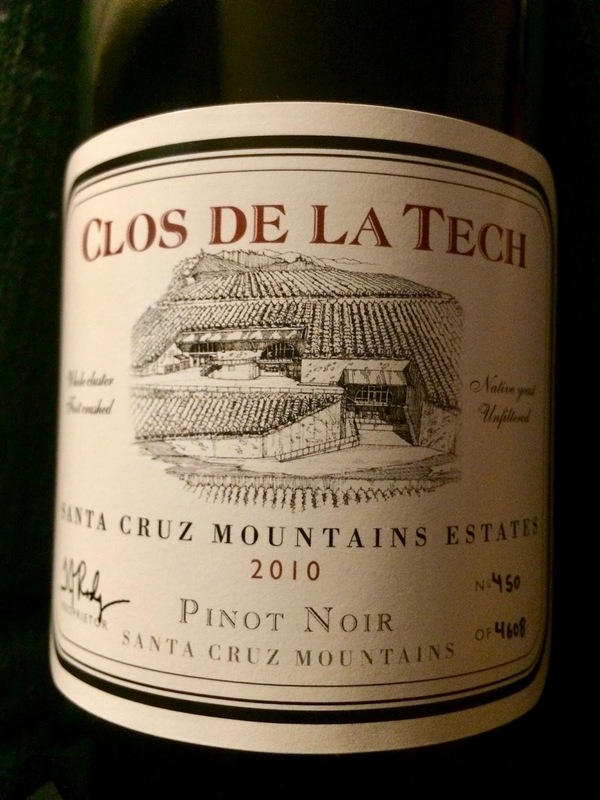 As their web state states: "Some of the highlights at Clos de la Tech include extreme growing conditions, high-altitude terrain, vine-by-vine farming, high-density planting (4,150 vines per acre), low yields (below one ton per acre), innovative equipment, gravity-flow winery, whole cluster fermentations and no filtration." I received a media sample of their 2010 Pinot Noir "Santa Cruz Mountain Estates" ($42). This wine is made from five different Pinot Noir grapes, from all three of their vineyards, though most come from steep, south facing hillsides. The grapes are crushed by foot, and then undergo whole closer fermentation with native heat and malolactic fermentation on the lees. The wine is aged for about 12 months in French oak, from the Betrange Forest, with 75% new oak. It is bottled unfiltered, has a 14.4% ABV, and about 384 cases were produced. With a dark red, almost purple color, the wine presents with an alluring nose of black fruit and spice. On the palate, it is muscular though elegant, with restrained tannins, with bold, lush flavors of plum and black cherry, with rich spices notes and an underlying earthy element. The satisfying finish lingered on for quite some time, and I found the wine to be complex, well balanced, and delicious. It should be accompanied by a hearty dish, such as juicy steak or leg of lamb. A nice alternative to choosing a Cabernet Sauvignon as an accompaniment to your steak. As the holiday season nears, with Thanksgiving only a few days away, food and drink blogs are ramping up their holiday coverage. You'll read epic tales of sumptuous feasts, accompanied by expensive and rare bottles of wine. You'll read plenty of holiday recipes, describing how to prepare some of the most decadent dishes. You'll read of pricey gifts received, from costly electronics to tropical vacations. Colorful photos will display all of these hedonistic pleasures in their luxuriant glory. 1) Bar Boulud, Boston, located at Mandarin Oriental, Boston, invites city-dwellers and visitors alike to get their wintry confectionary fix with Pastry Chef Robert Differ’s Parisian-inspired Chocolat Chaud. Perfect for warming up on a chilly winter evening, guests are invited to taste these drinkable gourmet confections, crafted from the finest cocoa. 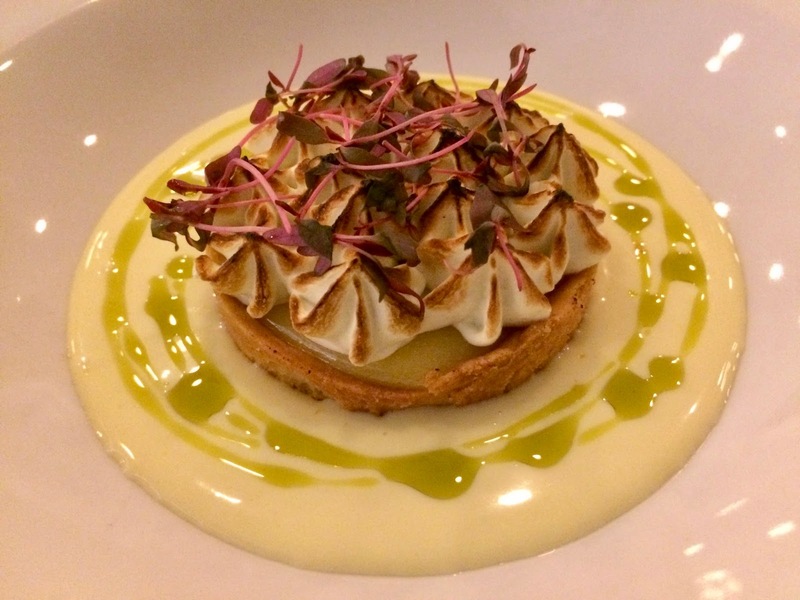 Chef Differ will feature monthly seasonal flavors, each topped with a dollop of fresh Chantilly cream and accompanied by a selection of delectable bite-sized sweets. Flavors will include: (November) Mayan Gold, creamy luxurious dark chocolate blended with delicate spices and a hint of orange essence, served with vanilla bean marshmallows and snickerdoodle cookies; (December) Milk Chocolate Peppermint, classic milk chocolate complemented by cool peppermint stick, accompanied by latté swirl marshmallows and crinkle cookies; (January) S’Mores, 55% bittersweet chocolate featuring marshmallow and a graham cracker spoon, paired with Chef’s special homemade mallomars; and (February) Almond Joy, milk chocolate combined with creamy coconut and toasted almonds, served with Caribbean coconut marshmallows and almond macaroons. For those who wish to expand their hot chocolate sipping experience, Bar Boulud will also offer adult-friendly cordial enhancements for an additional $4. 2) Boston is gearing up to celebrate the 243rd Boston Tea Party Anniversary & Annual Reenactment on December 16, one of the largest live historical theatrical moving performances in the U.S. This December, actual tea from London's East India Company, the same come from where the original tea came that was thrown into Boston Harbor during The Boston Tea Party in 1773, will be again thrown into Boston Harbor. East India Company is shipping 220+ lbs of [expired] loose tea to Boston for this occasion. This annual reenactment includes hundreds of reenactors who bring the story of The Boston Tea Party alive and theatrically recreate the famous events of December 16, 1773. This is an opportunity to experience one of America's most iconic public protests LIVE where it all took place 243 years ago. Last year, more than 600 people sold out the Old South Meeting House and thousands of spectators lined the waterfront to watch actual tea being thrown into Boston's historic waters (this portion is free and open to the public). Many Boston restaurants and bars are offering a dose of patriotism this year with tea-inspired cocktails and dinner available throughout the month of December and/or the evening of Dec. 16, 2016. Despite the high public profile of these dual issues, NECAT and its programs have remained surprisingly under the radar. Its energized management team is commited to changing that. NECAT offers a free, 16-week culinary program, whose goal is to get graduates placed in food industry jobs at a living wage. The training currently costs the organization about $7,000 per student. Legal Sea Foods and Eataly are two area restaurant entities who have taken the employment lead, hiring dozens of NECAT grads and paying them equitably. The phones at NECAT have begun to ring from other brand name restaurant operators, who have gotten wind of the NECAT program and the 20 employment-seeking cooks that it turns out every 16 weeks. 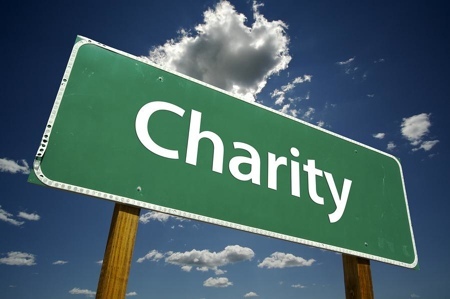 Fund raising for its programs is key at NECAT, which depends on state and municipal grants and foundations for revenue. Towards that end, NECAT is about to launch its Master Chef Series, bringing global culinary talent to its Boston facility for demonstrations and dinners on a quarterly basis. On Thursday, December 8 at 6:00 PM, NECAT will host a Middle Eastern cooking demonstration and multi-course dinner by internationally renowned chef/hotelier Uri Jeremias (known as Uri Buri) of Akko, Israel, a UNESCO city. Uri Buri, 71, is known in Israel as “the white-bearded prophet of fish and seafood,” and his restaurant in the 4,000 year old UNESCO World Heritage site of Akko was named Trip Advisor’s top choice in 2016 for fine dining in the Middle East. Chef Uri Buri will treat Bostonians to an interactive cooking class in NECAT’s culinary demonstration theatre followed by a seated dinner of his signature dishes in NECAT’s Orchid Cafe’, both located at 23 Bradston Street, Boston. Tickets to the demonstration and dinner are $150 per person. Proceeds will benefit NECAT programs. Go to www.ChefUriBuri.eventbrite.com. I'm proud to have some of my whiskey writing published in a voluminous new Single Malt book that was released last month. The New Single Malt Whiskey book, published by Cider Mill Press and edited by Carlo Devito, is a hardcover book of over 620 pages and currently priced at $21.16 on Amazon. Over 40 writers contributed to this encyclopedic tome, which covers 197 distilleries, from over 25 countries, and reviews more than 325 whiskies. Approximately 25% of the contributors are women, showing the growing role of women in the whiskey writing world. As women currently consume at least 37% of all whiskey, then it is good to see growing numbers of women writing about whiskey, sharing their knowledge and experience. The book begins with a series of essays about whiskey topics, covering issues from the Effects of Barrels to Peat, Whiskey Glasses to Adding Water. You'll understand the basics of whiskey production and some of the factors which might affect its taste. You'll then find another series of essays on Whiskey Cocktails, which includes a number of recipes, from the Rye Old Fashioned to the Savannah Mule. Next is the heart of the book, articles and tasting notes for almost two hundred distilleries across the world, from Australia to Wales, from Finland to Taiwan. The book only discusses Single Malt Whiskey, which, in short, must be made from malted barley and come from only a single distillery. The book doesn't cover every single malt whiskey made in the world, veering away from some of the classics of Scotland and not including every variation made by each distillery. However, it covers a huge amount of single malts and I'm positive you will find plenty you knew little, if anything, about. In addition, scattered through this section are a number of additional essays and interviews. This is an excellent reference book, one which you might find yourself using on a regular basis as you explore the diverse Single Malts available around the world. You'll probably find information about whiskies that intrigue you enough so you actively seek them out. Hopefully this book will also lead to you expanding your palate, tasting new whiskies which you might not have otherwise tasted. With the holiday coming, this book would make for a nice gift for any whiskey lover on your shopping list. I've been fascinated myself reading about a number of distilleries which were new to me. If you purchase a copy of this book, I'd love to hear your thoughts too. Homer's famous epic poem, The Odyssey, details the ten-year journey of Odysseus as he attempts to return home from the Trojan War. During that lengthy trek, he stopped at the island of Sicily, encountering Polyphemus, a giant Cyclops who lived on Mount Etna. Polyphemus was the son of the Poseidon, a sea god, and Thoosa, a sea nymph, and spent his time as a shepherd, raising many sheep. The island ran wild with grape vines, which were untended by anyone on the island, and it seems Polyphemus drank some type of weak wine. To his horror, Odysseus learned that Polyphemus was a man-eater when the Cyclops captured him and some of his men. Each day, the Cyclops ate a couple of those sailors. Clever Odysseus possessed a wine skin of a undiluted, honeyed red wine which had a high alcohol content. Odysseus convinced the Cyclops to drink the strong wine, which eventually caused the giant to fall asleep. Then, Odysseus and his men drove a sharp stake into the Cyclops' single eye, blinding him, and allowing them the opportunity to escape. 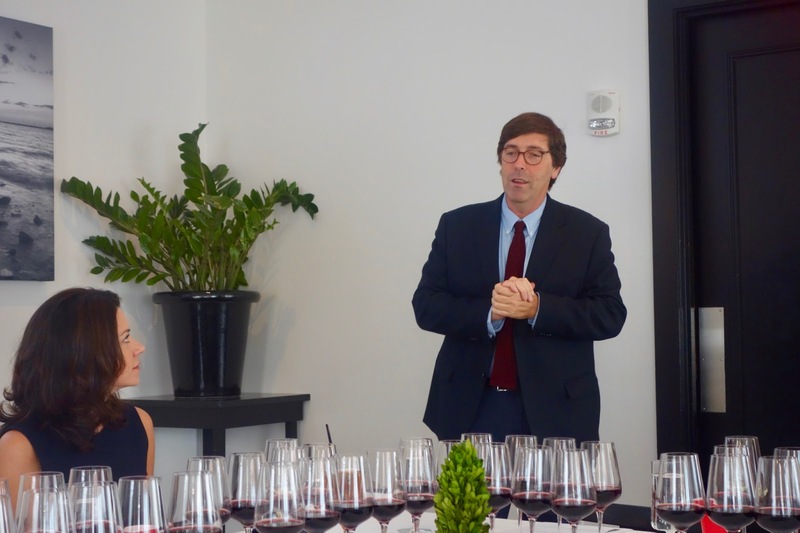 Alessio Planeta (pictured above), of Planeta Winery, related this tale to us at a recent media wine tasting lunch at Ostra. It was intended to illustrate the ancient change on Sicily, when the people first began to tend to grape vines rather than letting them run wild. It was the start of their wine industry, laying the foundation for few thousand years of vinous history. And it also illustrated how wine might save your life, albeit there aren't any Cyclops running around the world. 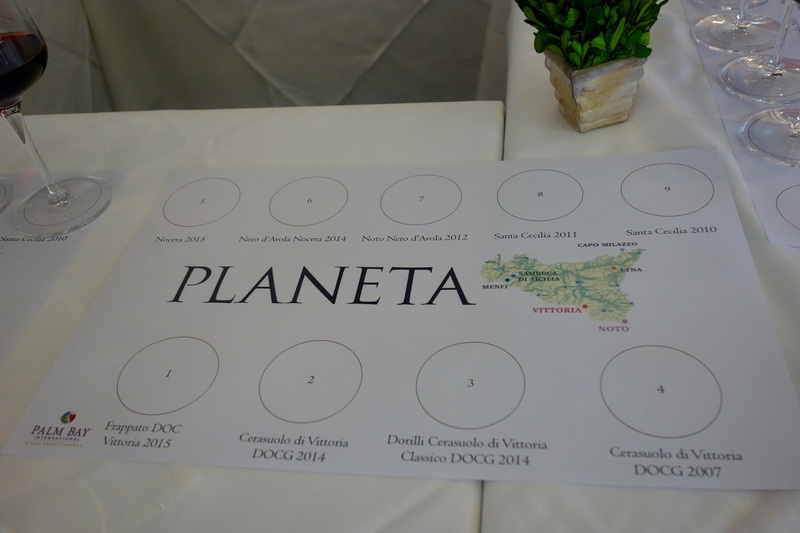 Planeta Wines is 22 years old, having been founded in 1995 by three cousins: Alessio, Francesca and Santi Planeta. They now own 6 distinct wine estates, totaling about 390 hectares of vineyards, across Sicily, including Ulmo at Sambuca di Sicilia, Dispensa at Menfi, Dorilli at Vittoria, Buonivini at Noto, Sciara Nuova on Etna at Castiglione di Sicilia, and La Baronia at Capo Milazzo. They are devoted to environmental sustainability, and continue to work at making their wineries as environmentally friendly as possible. The reason they do so is: "Because the land and the environment are a collective benefit as well as the company’s heritage, and it is a duty to make every effort to preserve it." Alessio Planeta is personable and down to earth, passionate about wine and Sicily. He is the the Chief Winemaker at Planeta, and has also been working to identify unique terroirs in Sicily. For this event, Alessio's primary purpose was to showcase the different expressions of Nero d'Avola, highlighting the different terroirs of Sicily. Sicily, which covers nearly 10,000 square miles, is the largest island in the Mediterranean Sea and it is roughly equivalent in size to the Champagne region of France. It is also about four times larger than the combined size of Sonoma and Napa counties. If nothing else, Sicily's great size should be a significant clue that Sicily likely possesses multiple terroirs, a land with a variety of soil types and microclimates. Though back in 1880, there were about 322,000 hectares of vineyards, today there are only about 100,000 hectares, with 62% planted on hillsides. Sicily has about 19 Local/Regional grapes, 9 ancient grapes and 5 international ones. Approximately 64% of their vineyards are planted with white grapes, 36% with red, and the vineyards are also broken down 80% with local/regional grapes and 20% with international grapes. The top three most planted grapes include Catarratto Bianco (33%), Nero d'Avola (16%) and Grillo (6.5%). The island is divided into 1 DOC Sicilia, 22 Local DOC and 1 DOCG. About 5.1 Million hectoliters of wine are produced annually, roughly 57 million cases. Harvest extends for three months, from August (often when they start picking Chardonnay) through October (when they are picking the Nerello Mascalese). Planeta has estates in five different regions of Sicily, each with their own unique soil type. In Menfi, their estates include Ulmo and Dispensa, totaling about 251 hectares, and their first harvest was in 1985. Menfi has clay-calcareous soils. In, Vittoria, they own the Dorilli estate, consisting of 34 hectares, and their first harvest was in 2001. Vittorio has marine-calcareous soils. In Noto, they own the Buonivini estate, consisting of 51 hectares, and their first harvest was in 1998. Noto has calcareous soils. In Etna (which has the tallest active volcano in Europe), they own the Sciaranuova estate, consisting of 28 hectares, and their first harvest was in 2012. Etna has volcanic soils. In Capo Milazzo, they own the La Baronia estate, consisting of 8 hectares, and their first harvest was in 2013. The origins of the Nero d'Avola grape are murky, with its first documented reference in 1696, and on Sicily, it is thought the grape first took hold in the Noto DOC and spread from there. Alessio feels that Nero d'Avola is one of the iconic grapes that represents the best of Italy. 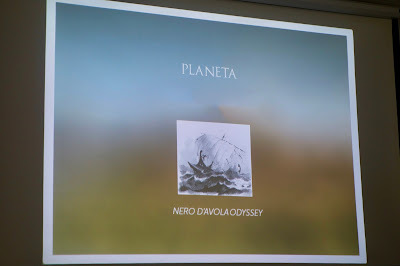 Nero d'Avola expresses itself differently dependent on the soil and terroir and Alessio pointed out four different expressions. In Menfi, you find a softer wine with notes of plum, chocolate, and mint, and in Vittoria, you get lots of freshness with notes of strawberry and cherry. In Noto, you'll find notes of currants, balsamic, carob, and incense while in Capo Milazzo, you'll get a fresh, velvety wine with notes of black cherry, and citrus. Prior to being seated, we stood around chatting, enjoying a glass of 2015 Eruzione 1614 Carricante and some passed appetizers. The Eruzione 1614 takes its name from a massive volcanic eruption, which lasted ten years. It is made from 90% Carricante and 10% Riesling, and the vineyards are located at an altitude of about 860 meters. The wine sees only stainless steel and remains on the lees until March of the year after harvest. It was fresh and crisp, with pleasing green apple and citrus flavors with a backbone of minerality. An excellent seafood wine. Fortunately, many of the passed appetizers were seafood based, from lobster ravioli to hamachi. Every one of the appetizers was delicious and it was hard not to load up on those small bites, despite knowing we would be having a full lunch. I haven't dined at Ostra before, and this event persuaded me that I need to return soon to experience their regular menu. For the more formal tasting, we went through nine wines, and the first was the 2015 Frappato DOC Vittoria ($22). I previously tasted the 2013 vintage, and this new vintage was similar in many respects except there was less smokiness and more of a balsamic characteristic. It was still light and fruity, easy drinking and delicious, with a nice complexity. It's worthy of a hearty recommendation. We then moved onto the 2014 Cerasuolo di Vittoria DOCG ($24), a blend of 60% Nero d'Avola and 40% Frappato, and we also tasted the 2007 vintage ($24). I previously tasted the 2004, 2010 and 2011 vintages, and raved about the amazing 2004 vintage, giving it my highest recommendation. The young 2014 vintage was delicious, with plenty of deep red fruit flavors, accented by pepper spice and savory notes. With more aging, this wine should develop very well, and could reach the quality of the 2004. The 2007 vintage had a touch of apparent sweetness, despite not possessing any significant residual sugar. It was enjoyable but didn't seem to possess the complexity and potential of the 2014. The 2014 Dorilli Cerasuolo di Vittoria Classico DOCG ($33) is a blend of 70% Nero d'Avola and 30% Frappato. I previously tasted the 2011 vintage and it was an excellent wine that I strongly recommended. About 30% of the wines from this DOCG come from the Classico subzone. Though it sees some barrel aging, it remains fresh with more concentrated red fruit flavors, mild spice and a touch of balsamic savoriness. It is a more powerful wine, yet still possesses an elegance. A well balanced and delicious wine. One of my favorite wines of the event was produced from a rare, indigenous grape which was new to me. The 2015 Nocera Sicilia DOC is made from 100% Nocera, an old variety which has nearly died out, with only about 10-15 hectares worldwide. The grape commonly has good acidity, prominent tannins, high alcohol, and often has an aroma of dark fruit flavors, leather and spice. Planeta only makes about 5,000 bottles of this wine and it is not yet available in the U.S. though that will change in the near future. The grapes comes from the La Baronia vineyard in Capo Millazo, which consists of only 8 hectares. Due to the location of the vineyard, surrounded on three sides by the sea, they can't make the vineyard any larger, so they are limited to how much Nocera can be planted. With a compelling aroma of black fruit, spice and mild floral notes, this was an impressive wine, with tasty flavors of plum and black cherry, enhanced by a spicy backbone. The tannins were well integrated, the finish was long and pleasing, and it possessed a nice acidity. With plenty of complexity, it seduced my palate and I would highly recommend it. The Nocera grape is also used in a blend, the 2014 Nero d'Avola Nocera Sicilia DOC ($26), which has 70% Nero d'Avola and 30% Nocera. This wine presented with a more subdued aroma, greater spice and floral notes on the palate, though in many ways it was similar to the single varietal Nocera. If I had to choose, I'd give my preference to the single varietal Nocera. We then moved onto Nero d'Avola, tasting three different wines, all from the Noto DOC. The 2012 Noto Nero d'Avola DOC ($26), made from 100% Nero d'Avola, is more of their introductory Nero d'Avola from this region, but you'll find it is a delicious and compelling wine. Beautiful red and black fruit flavors, bold spices and a savory balsamic element will delight your palate. Well integrated tannins, a lengthy finish and a hint of earthiness complete the picture. Strongly recommended. Next, we tasted two vintages, the 2010 and 2011 of the Santa Cecilia Noto DOC ($45), which is also made from 100% Nero d'Avola. Both wines were tasty, with ripe black fruit flavors, milder spice notes, an herbal aspect, a balsamic element and some underlying black tea notes. Plenty of complexity, a long and pleasing finish, and well integrated tannins. The main difference between the vintages was a bit of blueberry and stronger spice notes in the 2011. Both earn my strong recommendation. With our lunch, we received pours of 3 vintages (2005, 2007 and 2011) of Planeta’s Santa Cecilia, a single vineyard cru Nero d’Avola from Noto. I've previously tasted the 2005, 2007 and 2009 vintages and my favorite has been the 2005, though both the 2007 and 2009 were excellent and highly recommended. Once again, the 2005 vintage was my favorite, an absolutely compelling wine that intrigued and pleased my palate in many ways. It worked with both seafood and beef, and is one of those wines you can slowly sip all evening, revelling in its complexity and deliciousness. The 2007 was also excellent though I found the 2011 to be a bit more austere with a stronger herbal/vegetal element. 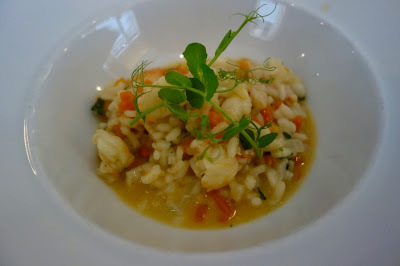 For lunch, I enjoyed the Lobster Risotto, with heirloom squash puree, which was filled with lots of sweet lobster meat. The rice was cooked perfectly, just that right consistency, and the broth was delicious and flavorful. One of the best Risottos I've had in some time. The Grilled Filet Mignon, with Pommes Puree, Roasted Shallot, Mushroom & Garlic, was meaty and tender, with a savory crust. 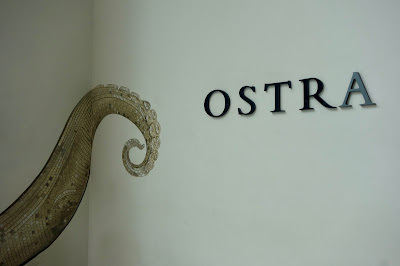 Ostra may be primarily a seafood spot but they know how to prepare an excellent piece of beef. And it went perfectly with the Nero d'Avola. 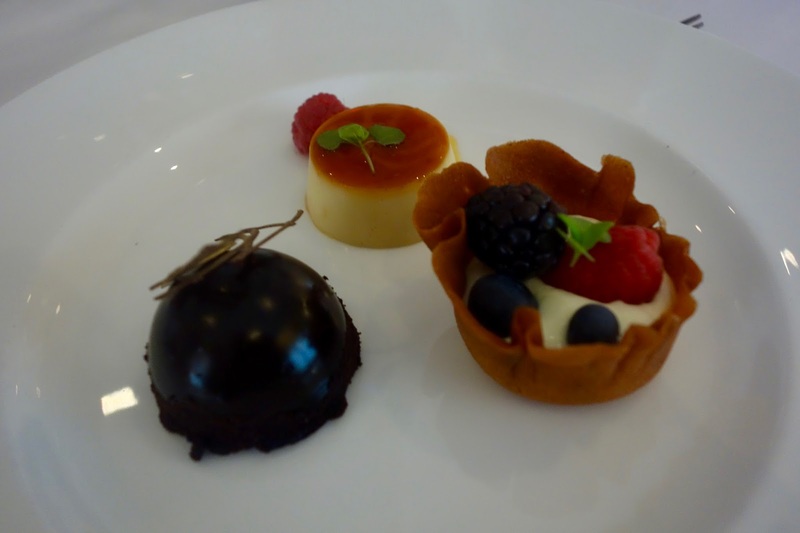 We ended the lunch with a trio of desserts, including Chocolate Mousse Bombe, Vanilla Flan, and Lemon Cream with Fresh Berries. The Bombe was my favorite, with its rich chocolate. I continue to be impressed with the diverse wines produced by Planeta Winery and find it fascinating to explore the different terroir expressions of the various regions of Sicily. From Nocera to Nero d'Avola, there is plenty that any wine lover will enjoy. Seek out these wines and learn more about what Sicily can deliver. 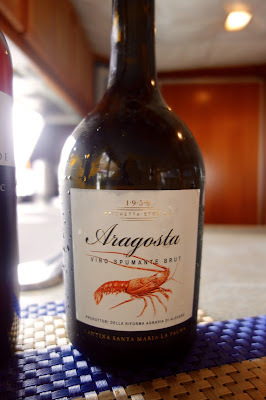 It seems appropriate then when you are tasting the wines from an island in the Mediterranean Sea, especially when one of those wines is aged beneath the sea, that you taste those wines aboard a boat cruising the water. 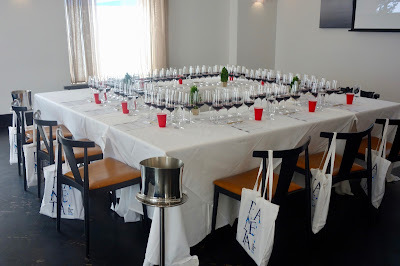 I was invited as a media guest to taste the wines of Cantina Santa Maria La Palma, a winery on the island of Sardinia, aboard a boat from the Stellar Yacht Cruises that toured the Boston Harbor. It happened to be a beautiful day, so there were calm waters and plenty of sunshine, the perfect setting for a wine tasting and lunch. The First Mate. He helped keep an eye on the Captain. The tasting was led by Igor Profili of Cantina Santa Maria La Palma, a personable and charming advocate for these Sardinian wines. The winery was established as a cooperative in 1959 when one hundred growers decided to work together to produce wine. Currently, the cooperative includes about 300 farmers, working on approximately 700 hectares, with each farmer maintaining about 2-3 hectares. Many of the vineyards are about 20-30 years old, and Vermentino is grown on about 320 hectares while Cannonau is grown on about 106 hectares. The cooperative, which produces about 5 million bottles each year, is the largest producer of Vermentino in the world. The winery makes a total of about 25 different wines, importing several to the U.S. The origins of the Vermentino grape are murky, though there is evidence of its existence at least as far back as the 14th century in Liguria and the island of Corsica. It appears the grape likely came to Sardinia during the end of the 19th century, or possibly the early 20th century. Since that time, it has become the most important white grape on Sardinia and Vermentino di Sardegna DOC, established in 1988, can be produced anywhere on the island. There is also the Vermentino di Gallura DOCG, created in 1996, which is the only Vermentino-based DOCG. The grape tends to produce aromatic and crisp wines, and is used to make a variety of different wine types. For example, under the Aragosta label, Cantina Santa Maria La Palma, makes four different Vermentino wines, including a Still, Sparkling, Spumante and Passito. Aragosta is the Italian word for the "spiny lobster" and it is pictured on the winery's labels. We began the tasting with the NV Aragosta Vino Spumante Brut, which was dry and crisp, with hints of almond and mineral notes. A pleasing aperitif, it would also pair well with Sushi and Seafood, as well as Pecorino and Sausage. The NV Akenta Millesimato Spumante Extra Dry is made from 100% Vermentino, using the Charmat method, and it is aged on the lees for about 6 months. "Akenta" means "go for 100 years." The grapes are from their best vineyards and it possesses 14 g/l of residual sugar. With a pale gold color, and tiny bubbles, is possessed an intruding aroma of stone fruit and almonds, with floral hints. On the palate, it was crisp with a slight touch of sweetness, and delicious flavors of peach, apple, and a mild bready note. Elegant and delicious, I think this would work especially well with spicy foods. That doesn't look like an appealing bottle and if you saw it in person you would note the growths on the glass. However, this is actually a fascinating wine, one that has gone where few other bottles of wine dares to explore. The NV Akenta Underwater Millesimato Spumante Extra Dry is essentially the same as the above wine except for one major difference. 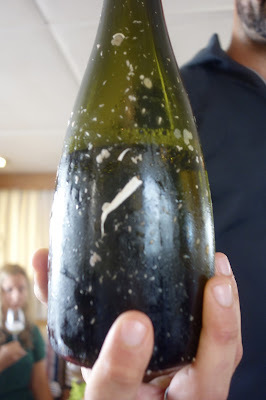 This wine spent about six months aging beneath the sea, 40 meters down. Only 700 bottles are produced each year and it will likely retail for about $60-$70. Igor was very honest about this wine, noting that marketing was the number one reason for conducting this experiment. However, the environment during the aging of that wine is likely to effect the final product. The cold temperatures of the water, the darkness and the pressure all played a role in creating this wine. When it is removed from the water, they don't clean the bottles so the bottles do have growths from sea creatures. The bottle is placed into a plastic bag, which possesses the label, to maintain the integrity of the condition of the bottle when it was under the sea. I found this wine to be more full bodied, with a brighter gold color and smaller bubbles. It had a very similar taste profile, though I think the small bubbles helped to make it even more food friendly. Their basic Vermentino still wine is the 2015 Aragosta Vermintino di Sardegna DOC of which they produce over 2 million bottles each year. Made from 100% Vermentino, it is crisp and bright, with a prominent fruity taste of apples and pear, with almond notes. An easy drinking, but not simple, wine, this would pair well with many different seafood dishes, as well as other foods, from chicken to cheese. It is an also an excellent value, priced around $10, and I have drank this at home on numerous occasions. 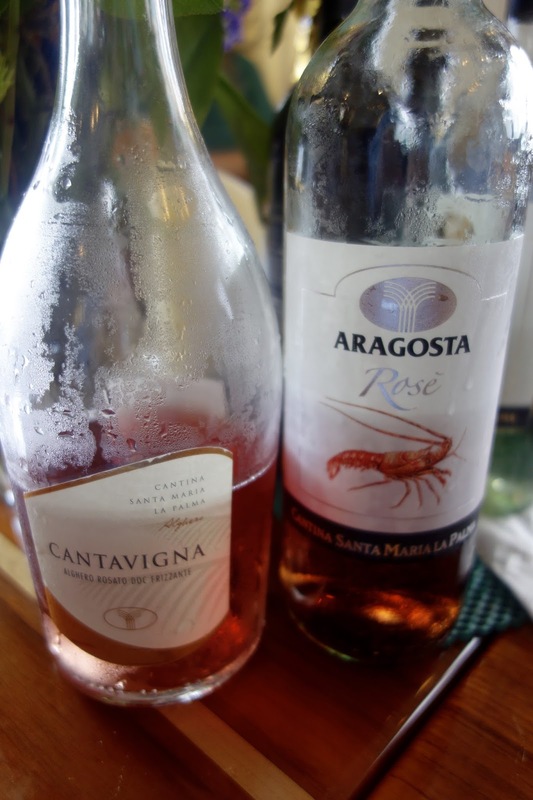 The 2015 Aragosta Rosé Alghero Rosato DOC is produced from a combination of Cannonau and Monica grapes. Monica, which adds softness to the wine, has been traced back to 11th century Camaldolite monks who cultivated the grape. This is a winter Rosé, a bolder dry Rosé with a dark red color, a full body and pleasing red fruit flavors with herbal accents. Germany is a major market for this wine. The Cantavigna Alghero Rosé Frizzante DOC is made from several red grapes, including Cannonau, and also is more of a winter Rosé. It has a lighter red color, a mild effervescence, and soft flavors of strawberry and cherry with some herbal notes. I could see this working well in the summer too, the effervescence helping to cleanse your palate. As such, this would be an excellent food wine too. The final wine was the 2014 La Bombarde Cannonau di Sardegna DOC ($10-$12), made from 100% Cannonau, which you might better know as Grenache. It is the most widely grown red grape on Sardinia and dates back on Sardinia to at least the 17th century. From their website, I'll note: "Le Bombarde wine takes the name from the beach where, even today, we find vineyards of red grapes such as Cannonau and Monica di Sardegna . The cannons, represented on the label, are the symbol of the defence and the pride of the Sardinian coastal territory, that over the centuries has suffered invasions by various dominations including the Aragonese and Spanish. They are the emblem of the strong and determined character of these grapes." With a medium red color, this wine has a compelling fruity aroma, and on the palate you get bold flavors of strawberry and cherry, with mildly spicy notes though the wine sees no oak. It is easy drinking and smooth, dry and robust, with a moderately long finish. This would be an excellent wine with pork and other meats, hard cheeses and fish such as salmon and tuna. You could even put this on you table for Thanksgiving. At this price point, it's an excellent value and highly recommended. Next time you visit a wine shop, seek out the wines of Sardinia, made from Vermentino or Cannanou. Look for the wines of Cantina Santa Maria La Palma, especially their excellent value ones. They are food friendly wines which should appeal to most wine lovers. Stock up on them for your holiday parties and I'm sure your guests will be pleased. It's a divisive culinary combination, one sure to ignite passions in each side of the divide. There are some who believe seafood and cheese should never mix, while others are more open to the potential delights of such a combination. An article in the Smithsonian Magazine discussed some of this controversy, siding with those who enjoy seafood and cheese, though noting it doesn't work with all types of seafood. On Facebook, I held an unofficial poll, asking what people thought of the idea of a Lobster Grilled Cheese sandwich. The answers were essentially split, with roughly half liking the idea while the other half opposed to it, commonly mentioning that they don't believe in combining seafood and cheese at all. 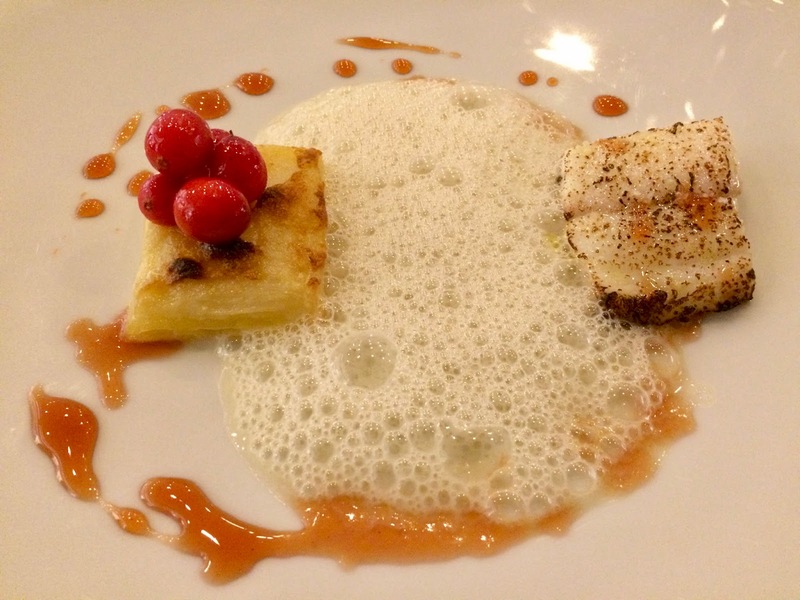 Personally, I think seafood and cheese can work very well, dependent on the specific dish. For example, I've previously enjoyed some delicious Lobster Mac n' Cheese and Crab & Cheese casseroles. And the idea of a Lobster Grilled Cheese appeals to me. What do you think of such a sandwich? I recently had the opportunity to try a Lobster Grilled Cheese and more at Luke's Lobster at their Back Bay location. They also have a location in Downtown Crossing. 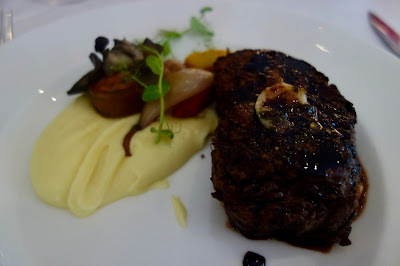 I was invited as a media guest to check out a couple of the items on their new winter menu, and this was the first time I had dined at this restaurant. It won't be the last. 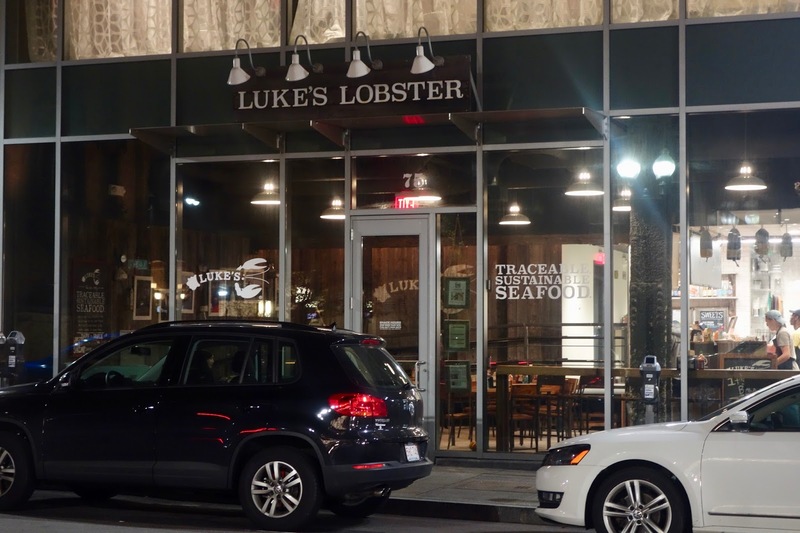 Luke's Lobster is a chain of sustainable seafood, fast casual restaurants, centered on lobster rolls, with locations across the country, from Maine to Las Vegas, and even in Japan. Started by Luke Holden, a Maine native and former lobsterman, the first Luke's Lobster opened in 2009 in the East Village of New York City. The Back Bay location is one of their largest, seating about 46 people at a number of tables and a counter. The decor has a nautical theme, and the wood for their tables also comes from Maine. On the evening I dined there, many of the tables were occupied, and it was clear most of them were ordering lobster rolls. Seafood sustainability. I've often written about its importance, that it is essential to the continued existence of the human race. We need to protect endangered seafood species as well as to protect the health and welfare of the oceans and other waters. We cannot continue to destroy our environment and deplete our essential resources. 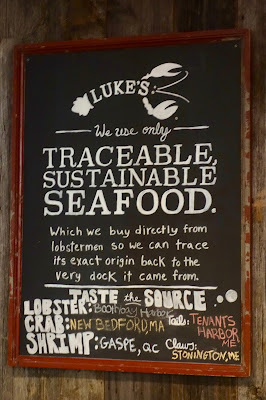 As such, I'm very glad to see that Luke's Lobster is dedicated to serving only traceable, sustainable seafood. On their website, it mentions: "Luke’s handles every step of the supply chain to ensure that only exceptionally fresh seafood is served in our shacks. We hand pick the lobster directly from the lobstermen at the dock, and our sister company, Cape Seafood, immediately cleans and steams it to preserve its freshness and quality." 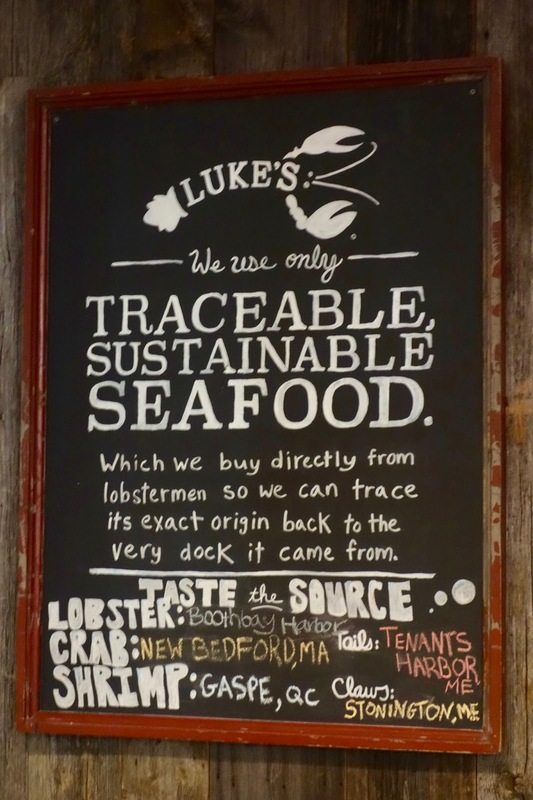 Cape Seafood, a seafood processing plant in Saco, Maine, was founded in 2012 by Luke and his brother, Bryan, to supply sustainable seafood to Luke's Lobster as well as other seafood restaurants across the country. It is certified sustainable by the MSC and is also a SQF Level 3 food safety certified seafood company. This is important as some seafood landed in the U.S. actually gets sent overseas to be processed, which can cause problems with traceability and safety. Much of their seafood is sourced from the waters of New England, from Maine lobsters to Crab from New Bedford. Their Shrimp generally comes from Eastern Canada, and not from Southeast Asia where many other restaurants source their shrimp. There have been significant problems with some Southeast Asia shrimp farms, from slavery to environmental destruction, so sourcing locally can avoid any potential problems. I've often advised that we need to eat more domestic seafood, as about 90% of the seafood we now eat is imported, and I'm very glad to see Luke's sourcing. 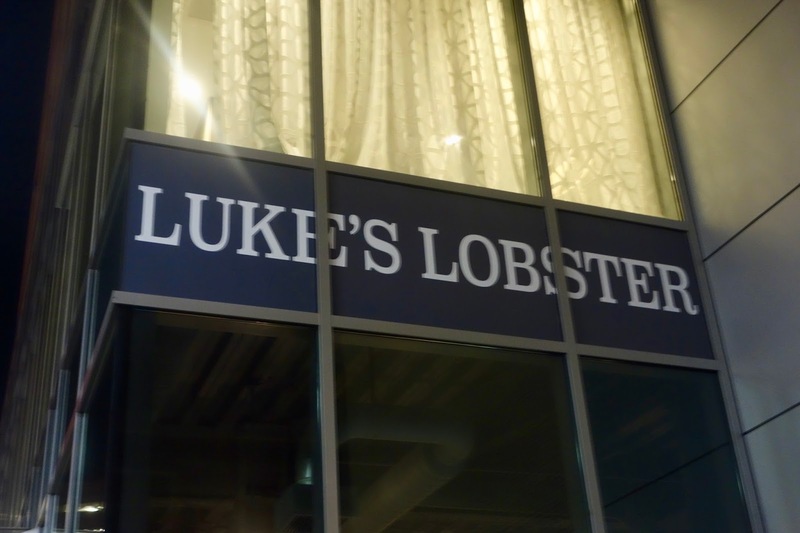 The picture above shows a sign which is prominent in the restaurant, keeping customers updated on the source of all of Luke's seafood. Consumers should know where their seafood comes from and it's great to see that the bounties of our local waters is being served. Their Menu is small and basic, helping them concentrate on ensuring the quality of their items. They don't need an extensive menu. Your basic choice is the Lobster ($17), Crab ($13) or Shrimp ($9) Rolls, which are served Maine style, on a buttered, toasted, New England-style split top bun with "a swipe of mayo, drizzle of lemon butter, and dash of secret seasoning." As each roll is made fresh, you could omit or add extra of any of those toppings. That is especially good for those people who dislike mayo. The Lobster Rolls are their biggest seller, about four times greater than their other rolls, and on a Saturday, they can easily sell 300-350 lobster rolls, if not more. For an additional $3, you can make your roll a Combo, adding a drink, chips or slaw, and a pickle. And you can also add a side soup as well for another $7-$8. The menu has a number of Sides, including: Clam Chowder, Soup, Grilled Cheese ($5), Jonah Crab Claws, Lobster Tail, Slaw, and Cape Cod Chips. There are usually some seasonal items too, such as the Kale Warm Grain Salad ($15), which is topped by a chilled lobster tail, on their winter menu. The winter menu items also include a Lobster Grilled Cheese ($13) and a Crab Grilled Cheese ($10). Their soups and chowders are made by Hurricane's Soups, a small family business located in Maine. I tried the New England Clam Chowder, which is made with fresh wild clams, clam broth, heavy cream, diced potatoes & minced onion. It wasn't too thick or thin, having plenty of small pieces of potato and clams. It had a pleasing and creamy taste and it was also good to see that even the Oyster Crackers were local, from Westminster Bakers in Vermont. The Lobster Grilled Cheese ($13) consists of an 1/8 of a pound of Maine lobster, melted Gruyere cheese, and organic white bread. As you can see, there's plenty of lobster within the sandwich, primarily knuckle and claw meat. The thin slices of buttery bread were grilled and crispy while the Gruyere added some creaminess and a nutty touch to the sandwich. The lobster has a touch of sweetness and adds some chewy texture to the sandwich too. Overall, it was quite tasty, well-balanced, and an excellent comfort food, elevating the simple grilled cheese. Yes, lobster and cheese worked well here and I think the choice of Gruyere was a good one. The combination brings to mind the classic French dish of Lobster Thermidor, which is typically topped by melted Gruyere. You typically think of a Lobster Roll as a summer treat and this grilled cheese makes for a fine option for the chillier weather of the autumn and winter. The Crab Grilled Cheese ($10) also consists of an 1/8 of a pound of Crab meat, melted Gruyere cheese, and organic white bread. The same comments about the bread and cheese apply here, and the sweet and plentiful crab meat was an excellent addition to the grilled cheese. There was less texture than the lobster meat, but actually in a good way. In fact, I had a slight preference for the Crab Grilled Cheese though I certainly enjoyed the Lobster as well. Crab and cheese is another combination which I think works very well. My only minor issue with the Gruyere and bread is that they are not sourced locally as the Gruyere is from Wisconsin and the bread from Colorado. When I raised the issue, I was told that it would be brought up to management for discussion. There seems to be little reason why they couldn't find a more local source for both items. And it seems that it would better follow their basic value of using local sourcing. To enjoy after your meal, or even as your meal, they serve two Sweets, Sea Salt Chocolate Chip Cookies ($3) and an Ice Cream Sandwich ($3.50), with the cookies for both sourced from the South End Buttery and the ice cream from Gifford's (located in Maine). I'm a fan of the South End Buttery and their Sea Salt Chocolate Chip Cookies deliver, with a compelling blend of sweet and salty. It's a fine way to enjoy a meal, and aren't too heavy. Or you can just buy them and take them home to enjoy later if you are too full. Luke's Lobster impressed me with their basic concept, including their devotion to seafood sustainability, and their food was tasty and compelling. Yes, seafood and cheese can work well together, though I'm not not everyone will agree. For pleasing comfort food this season, check out Luke's Lobster for their grilled cheese, and enjoy either the Lobster or Crab. Update: Sake Still Don't Need No Stinkin' Scores!